Video dates can be important as the original date of content is more meaningful than date of upload. 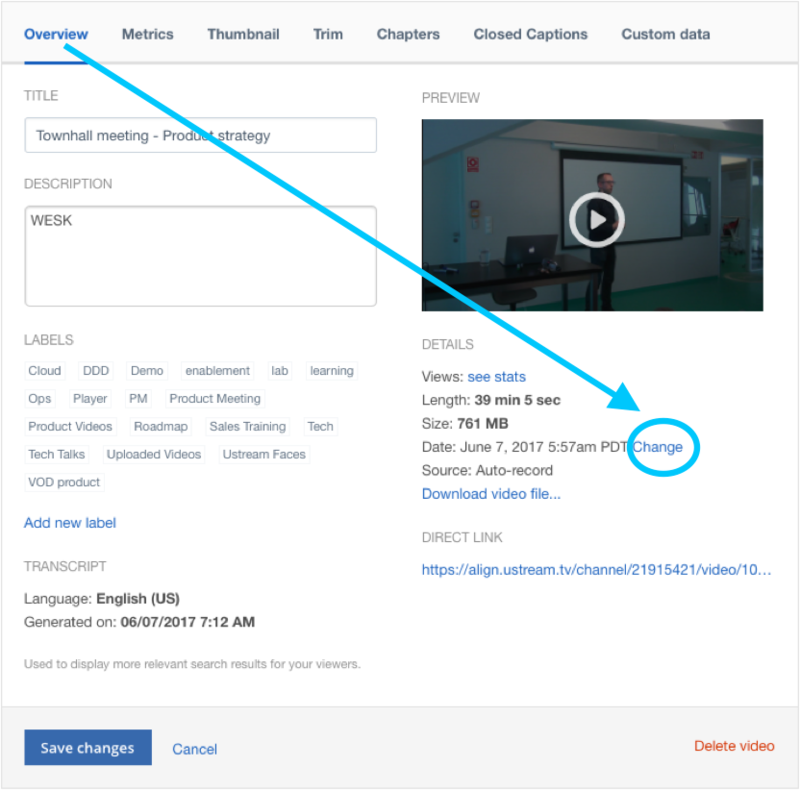 This article will discuss on how to edit the date on videos located on the Dashboard. 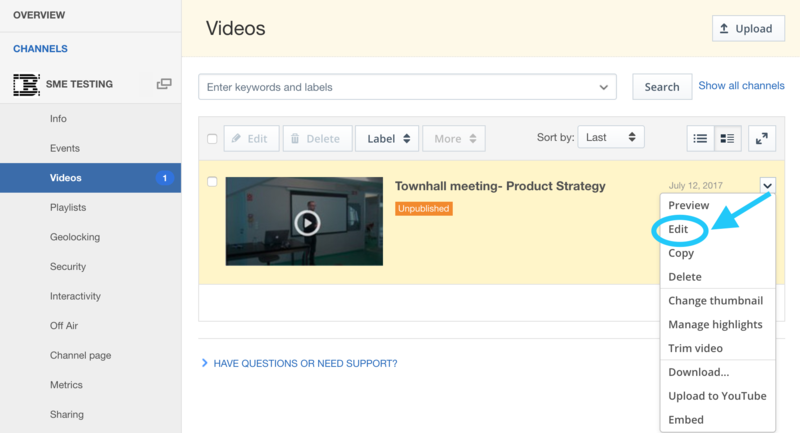 From the Video section on the Dashboard, select the drop down arrow on the video you wish to change the date of and click Edit. Enter the new date in the "Change video date" dialog box. 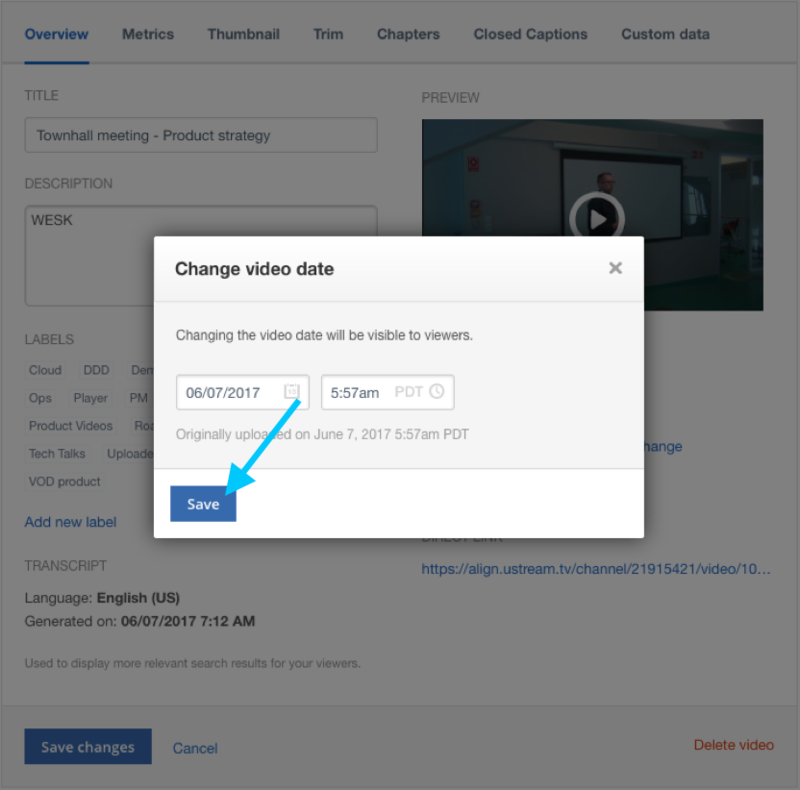 The custom video date is then saved and will appear to viewers in video lists and details within 1 minute.